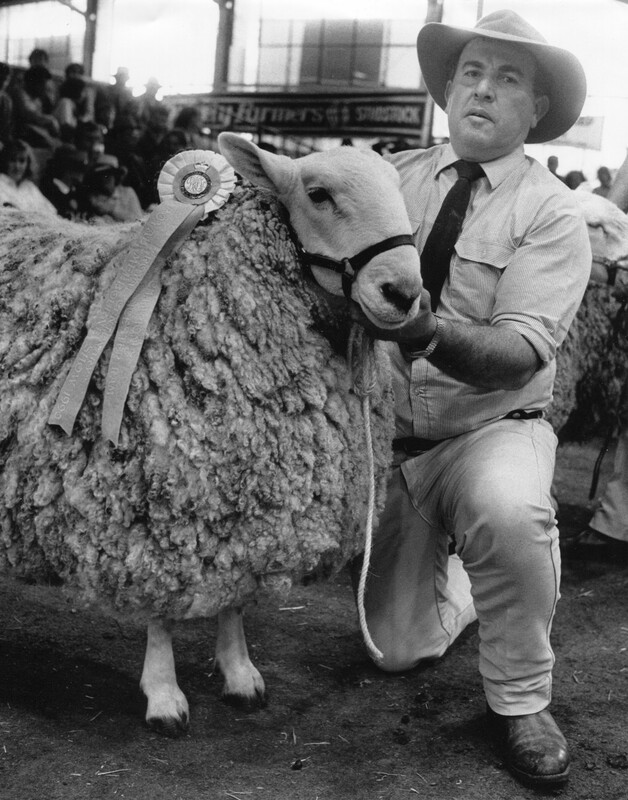 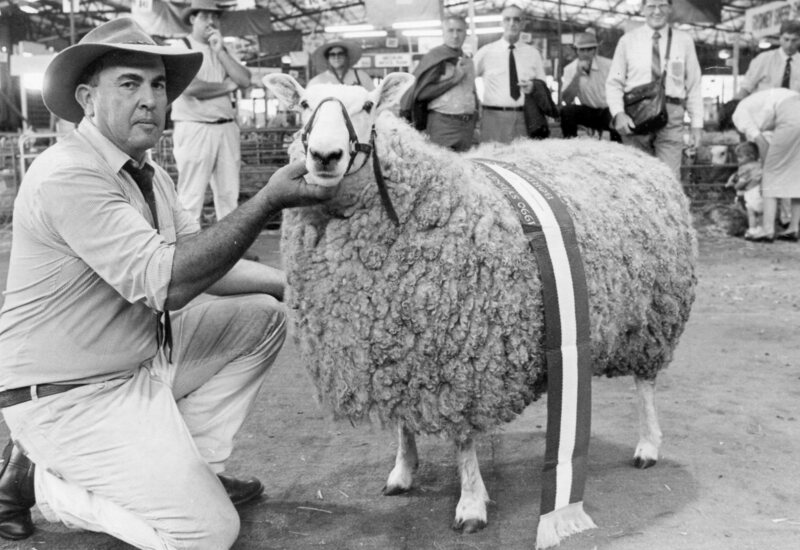 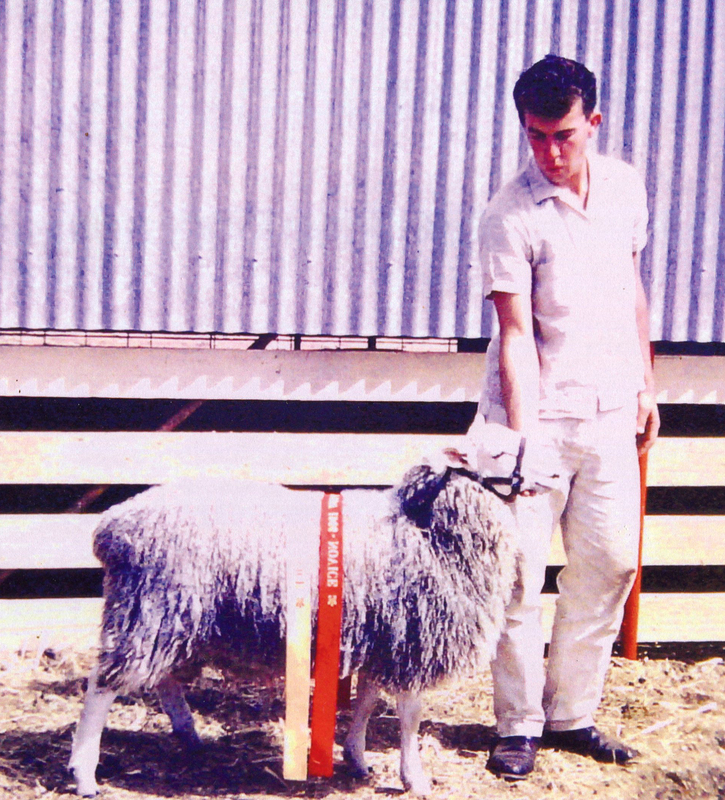 Graham Grinter at the Sydney Sheep Show Awards 1964. 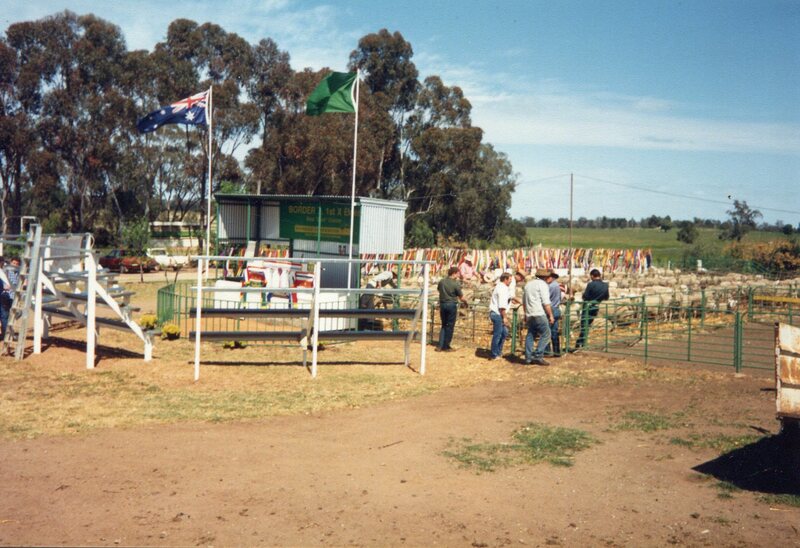 Boorowa Show 1970's. 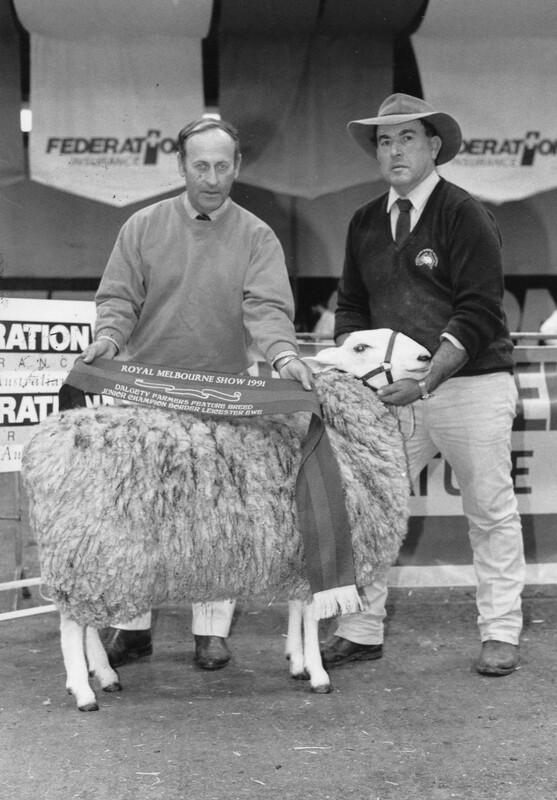 Graham holdng the Grand Champion Ram. 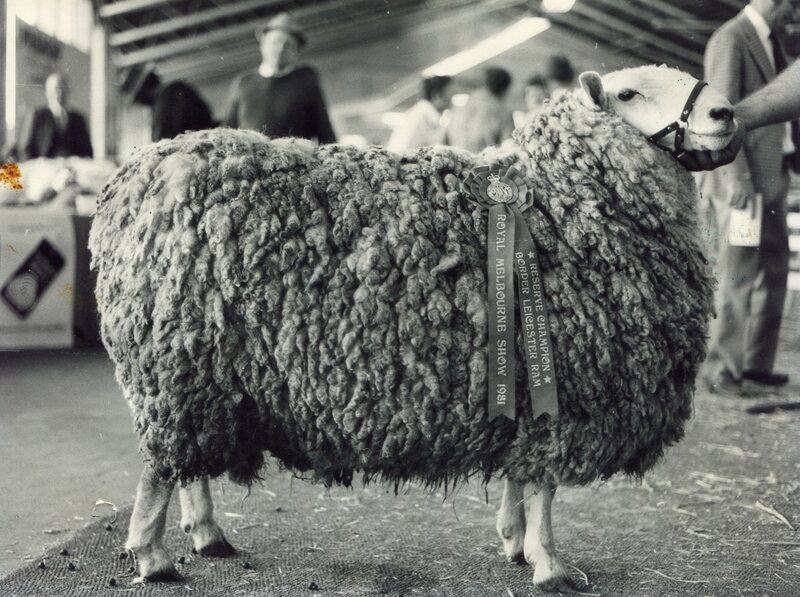 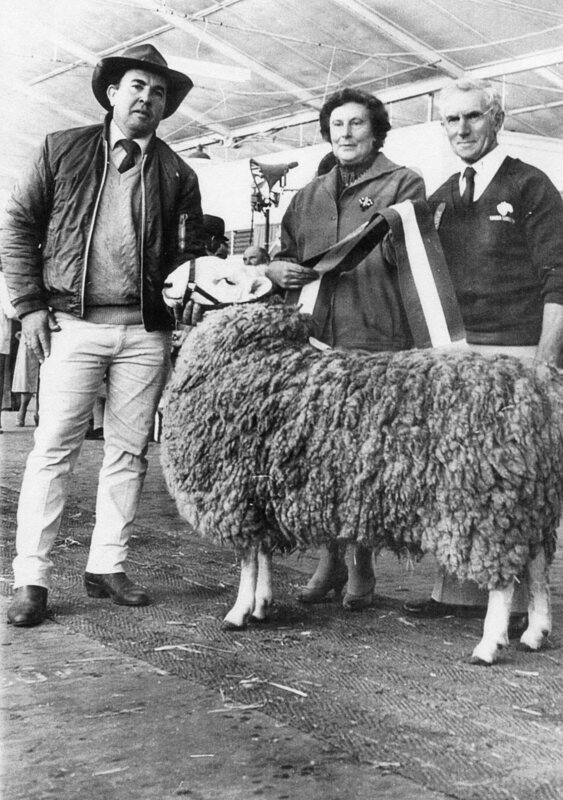 A Retallack stud ram which was sashed reserve champion at the 1981 Melbourne Royal. 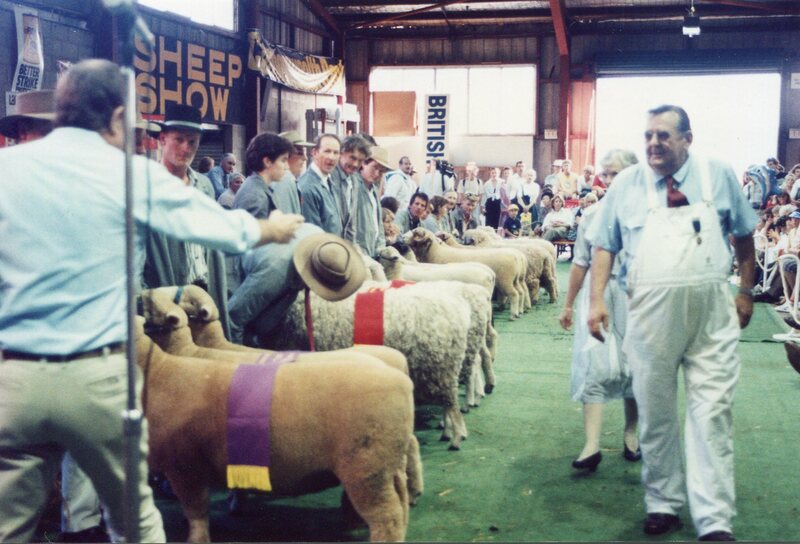 Mid 1980’s Canberra Royal Show. 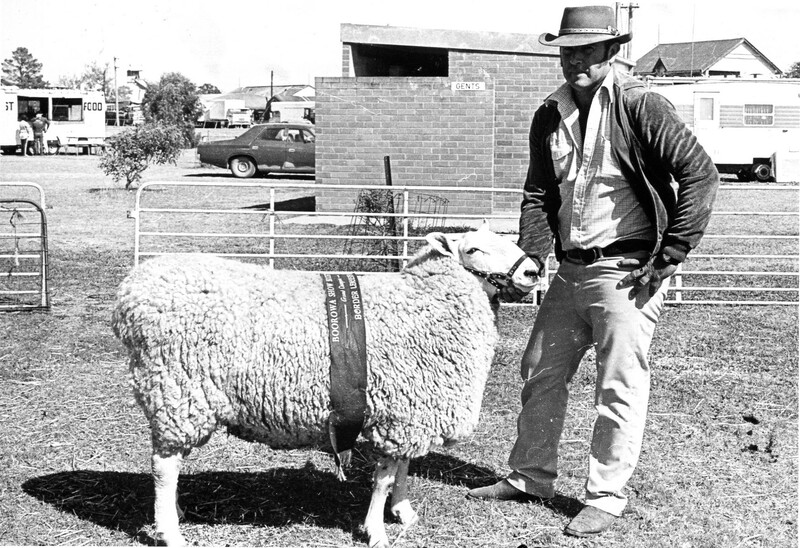 Retallack stud won champion ram at the Dubbo National Show and Ram Sale at Dubbo Research Station in 1980’s. 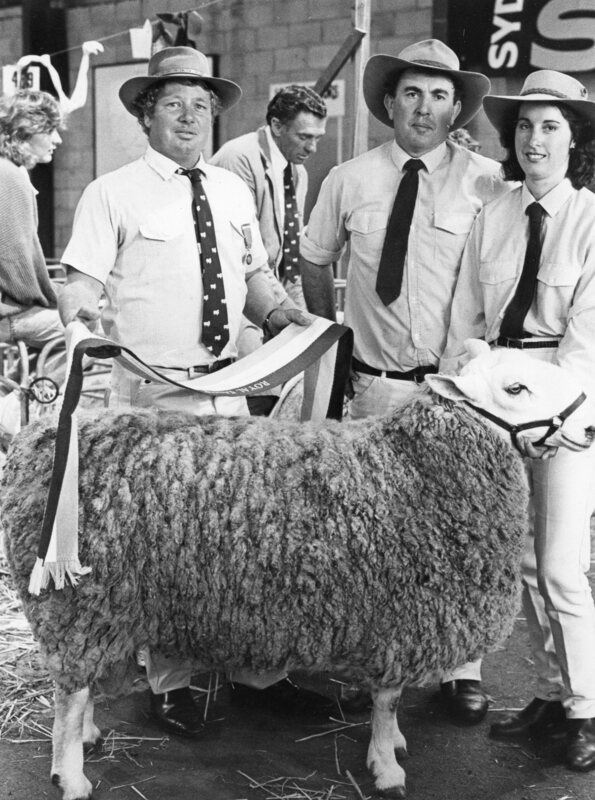 Graham at the 1985 Melbourne Royal with Mr and Mrs Jim Bowman. 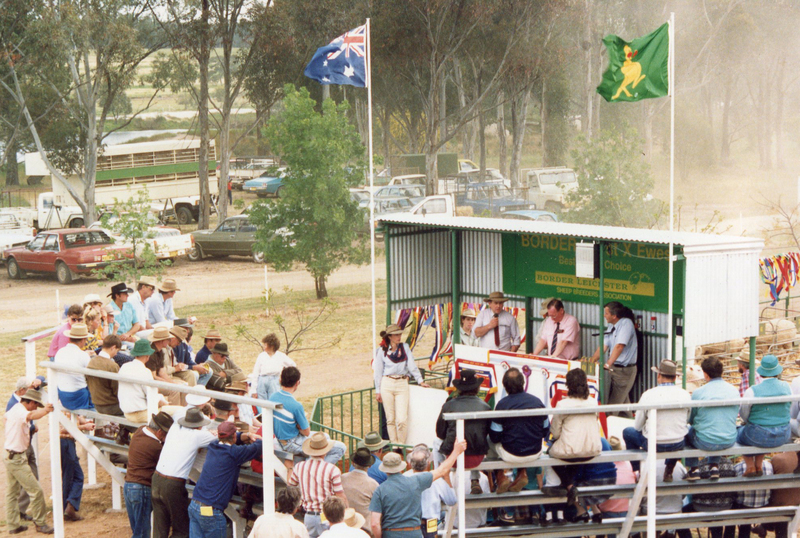 The First Annual on property Retallack stud sale in 1986. 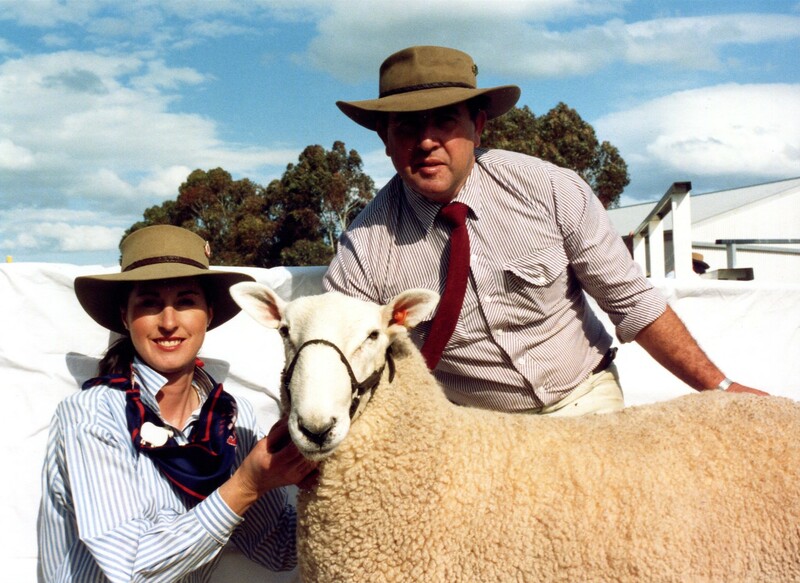 Isabella and Graham with the top priced ram at the first Retallack stud sale in 1986. 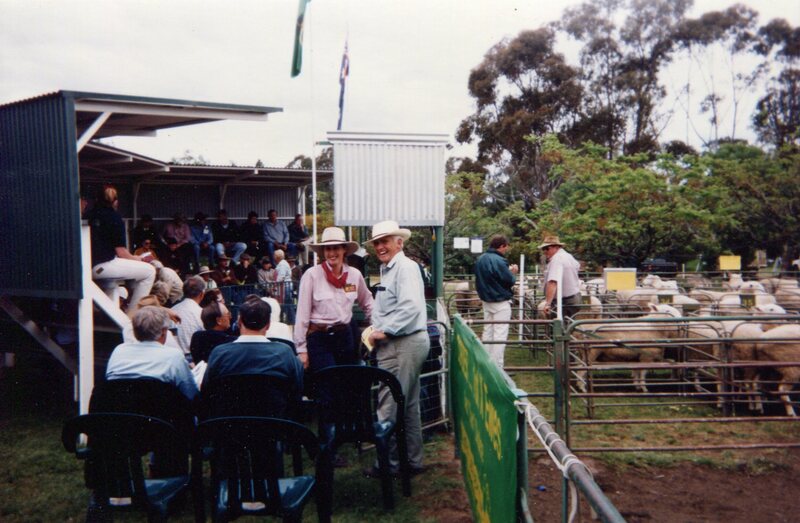 Isabella and Graham with Elders stud stock auctioneer Bill Naugton at their inaugural sale in 1986. 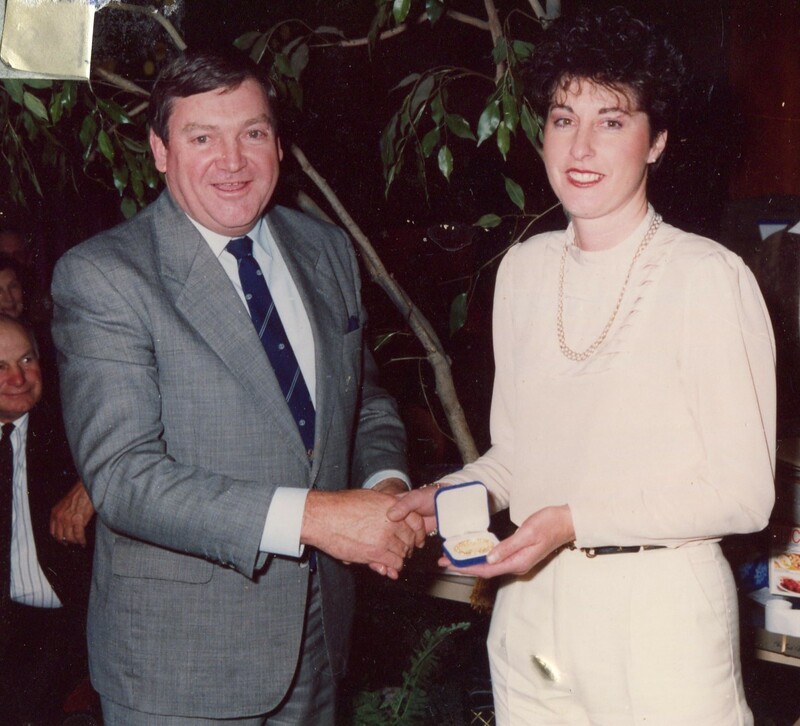 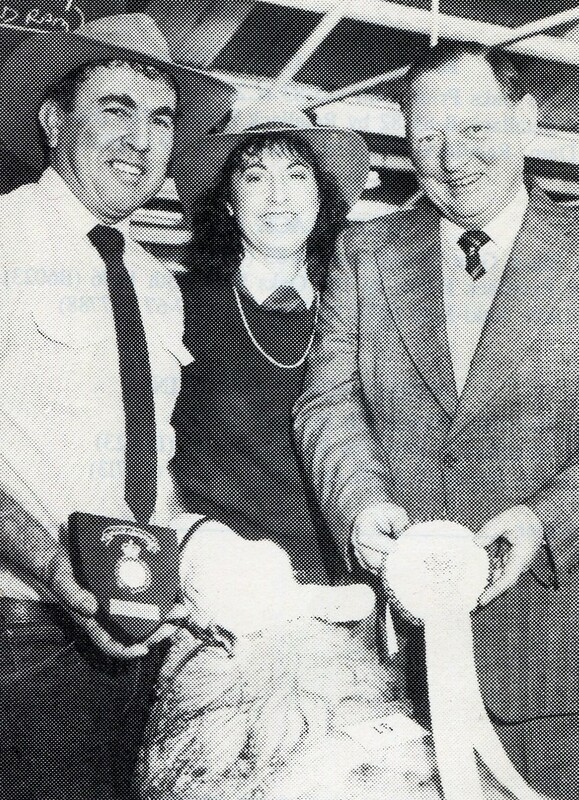 Elders Pastoral stud stock manager Bill Naugton pictured presenting Elders Shield of Excellence to Graham and Isabella Grinter at the 1987 Royal Melbourne Show for champion ewe. 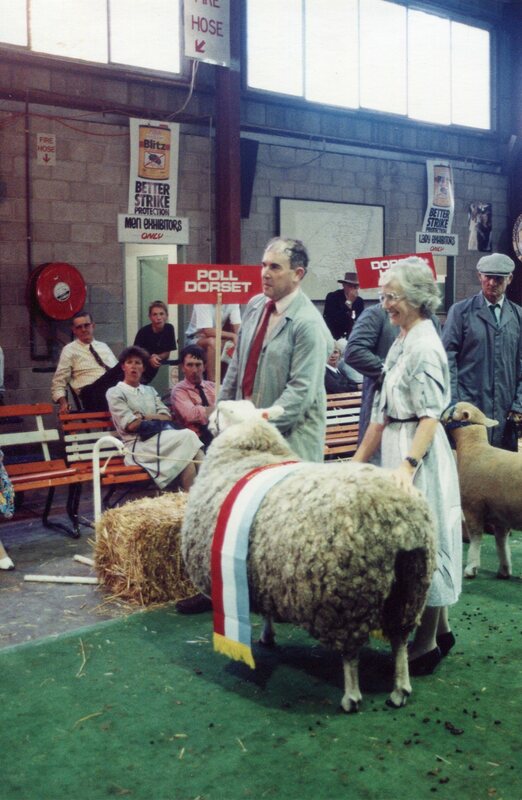 The second annual Retallack stud ram sale in 1987. 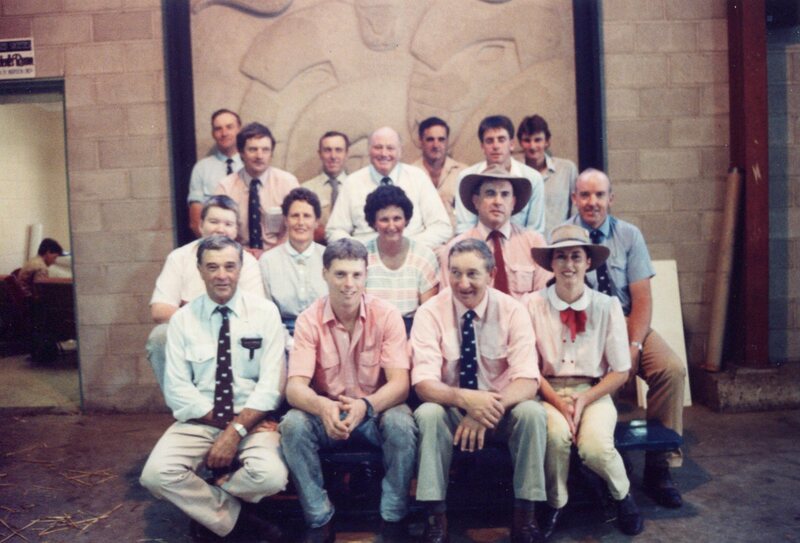 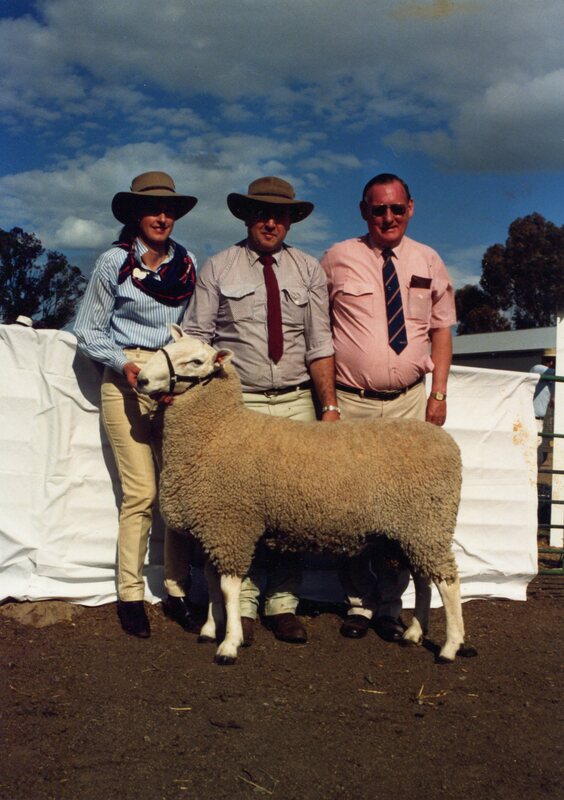 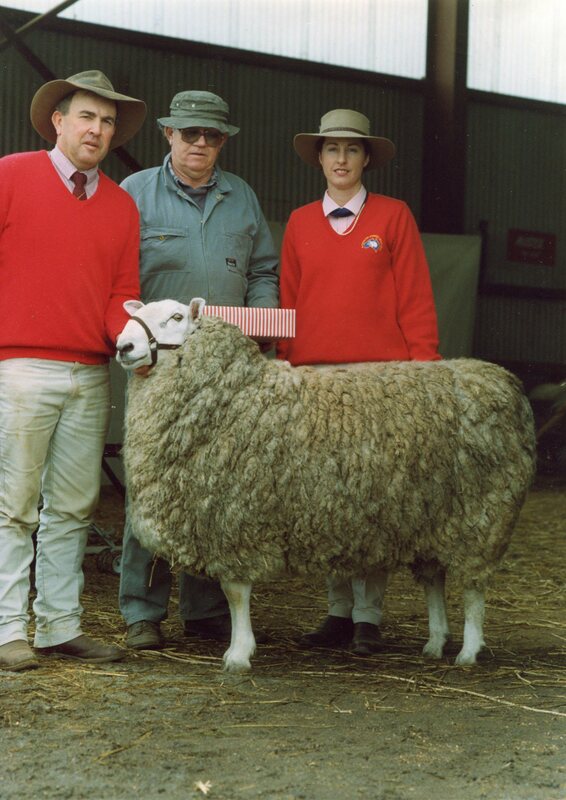 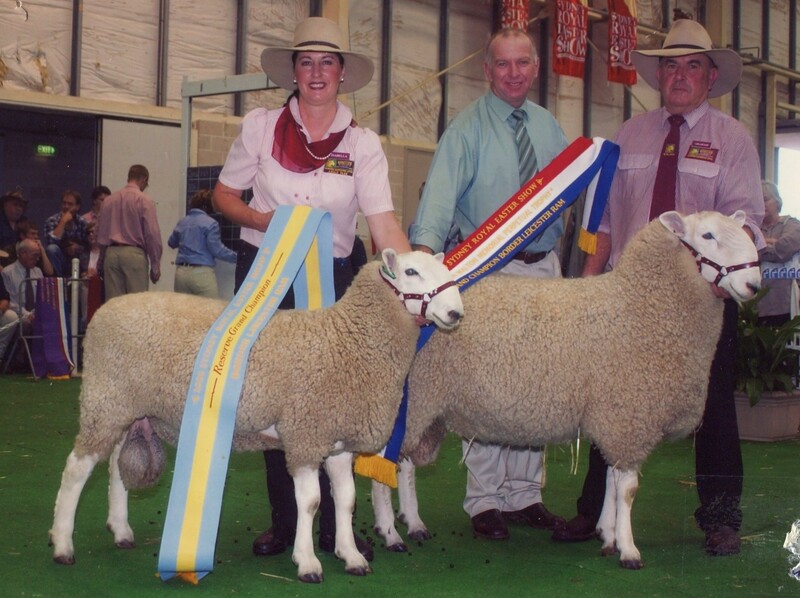 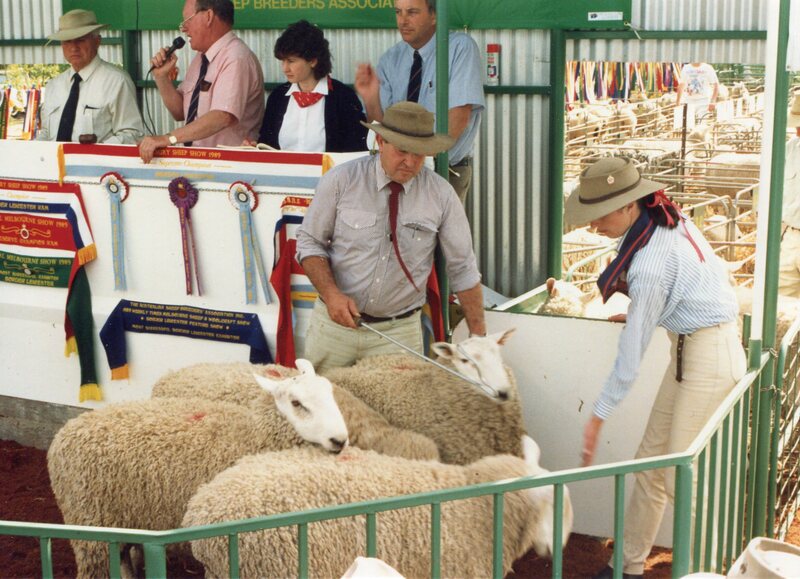 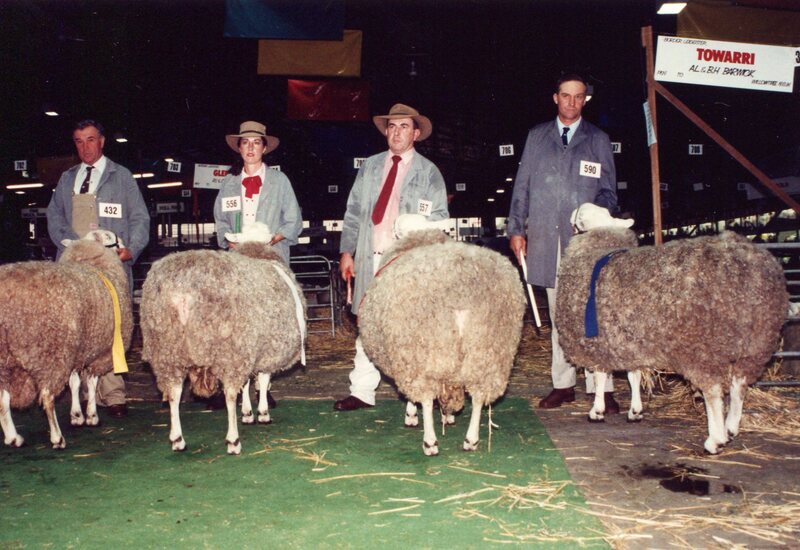 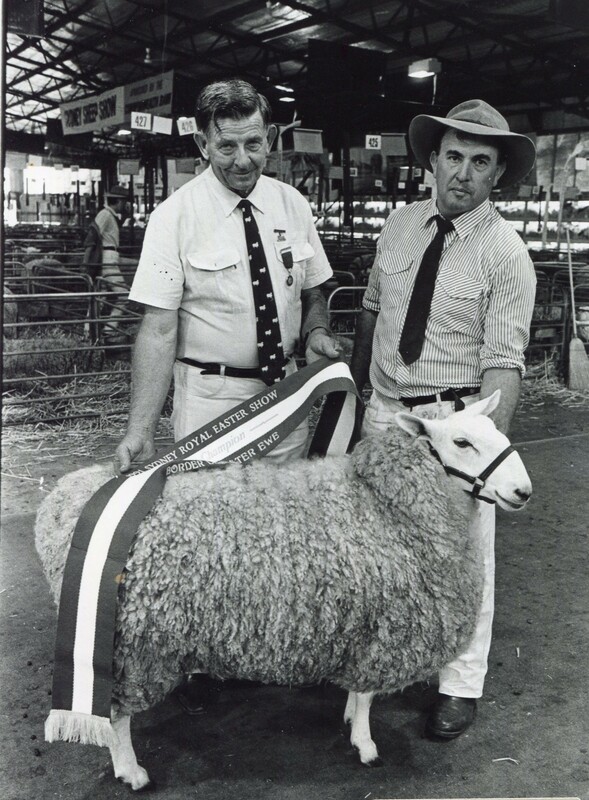 Graham and Isabella at the 1987 Sydney Royal with their champion ram and judge Lee Waters. 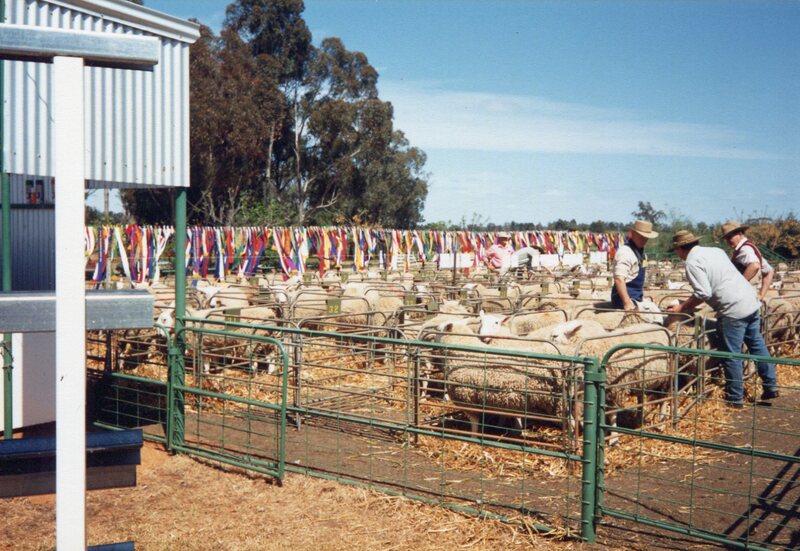 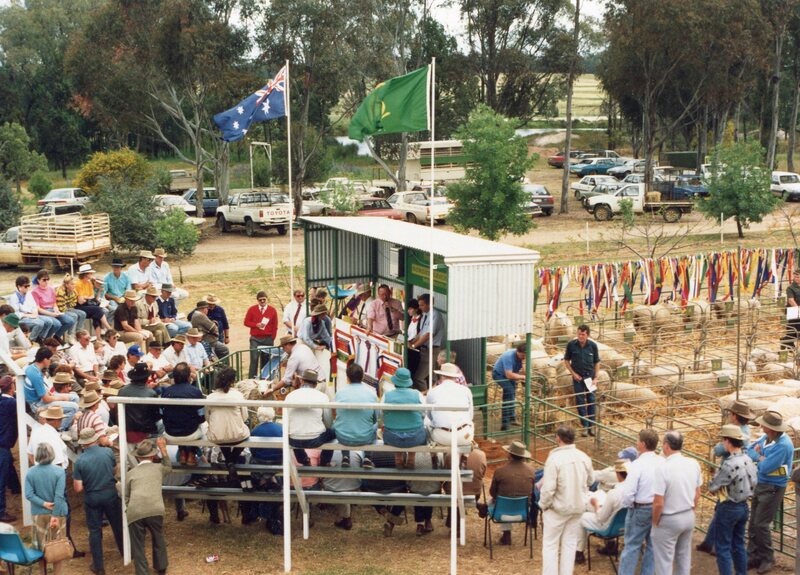 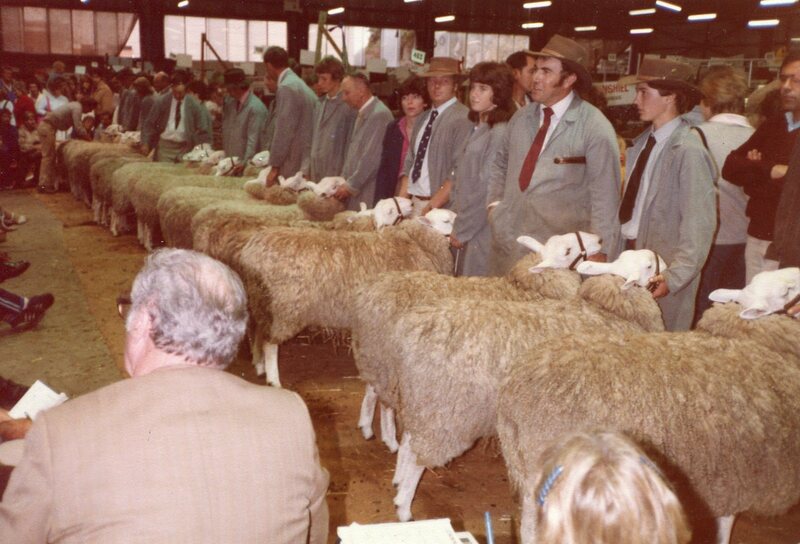 The third annual Retallack stud ram sale in 1988. 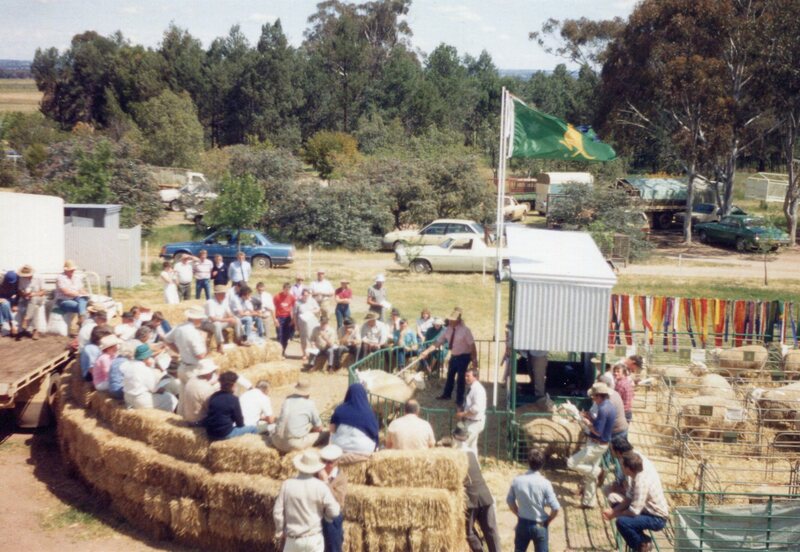 The fourth annual Retallack production sale in 1989. 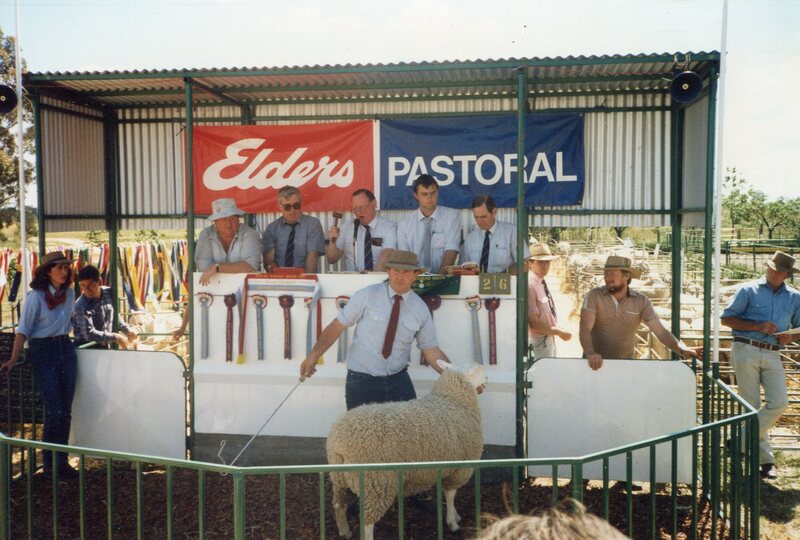 Auctioneer was Bill Naugton (then Elders stud stock manager). 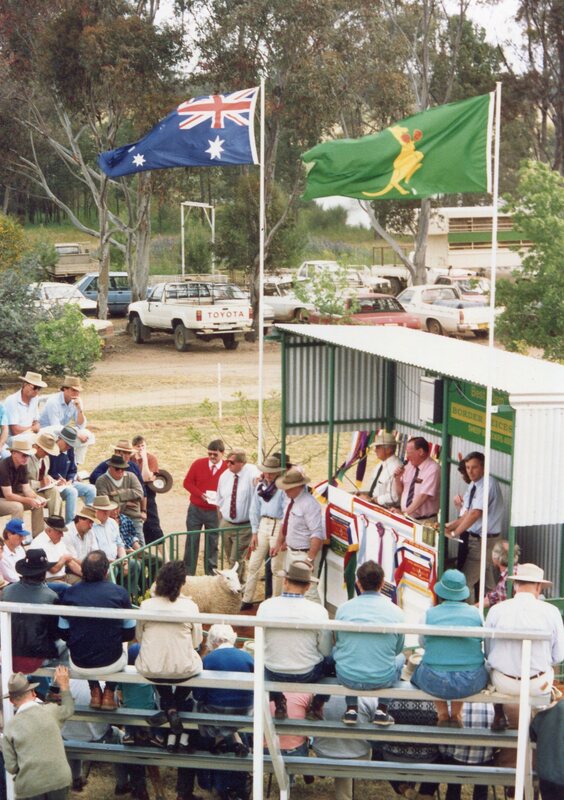 Auctioneer Bill Naughton. 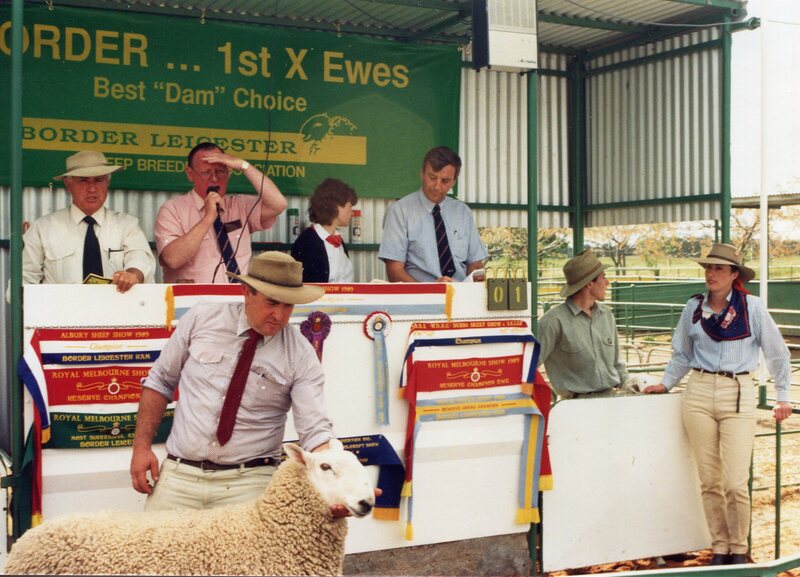 Also pictured are Jum Dwyer, Dwyer Agencies, and Colin Weissel, Elders Wagg Wagga. 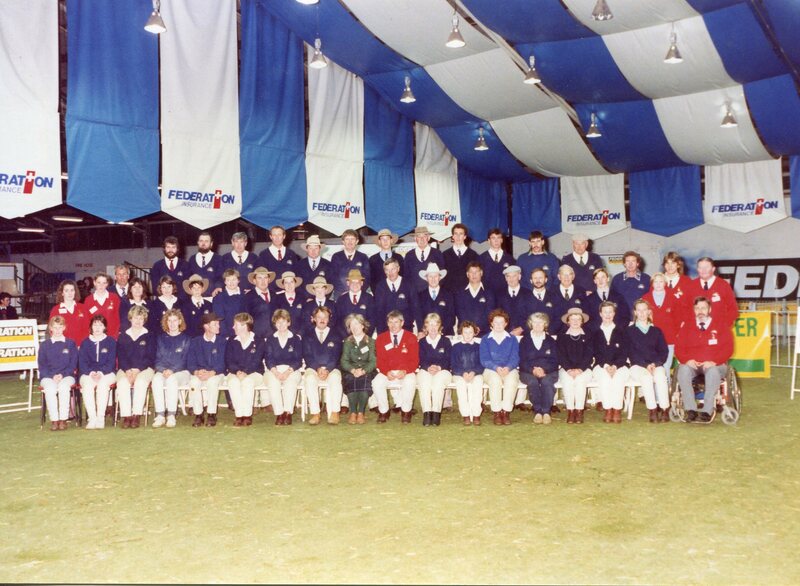 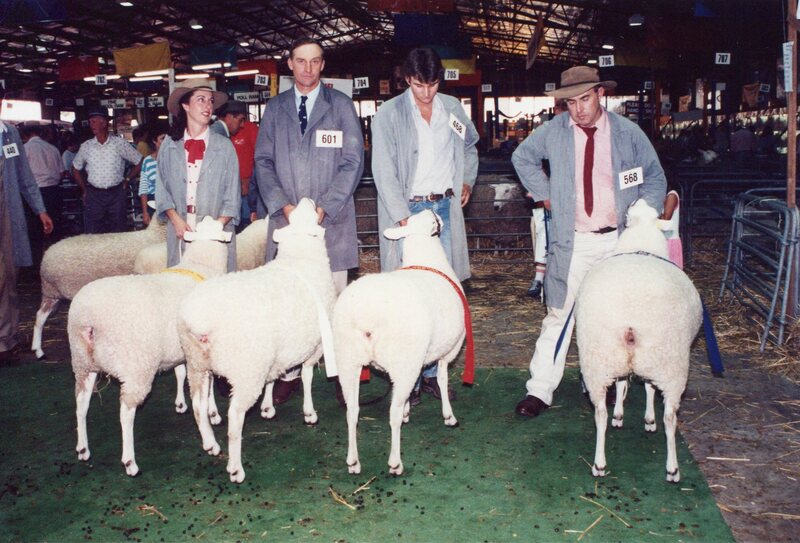 Mr Brian Walton judging the Peter Taylor Interbreed Group at the 1990 Sydney Royal. 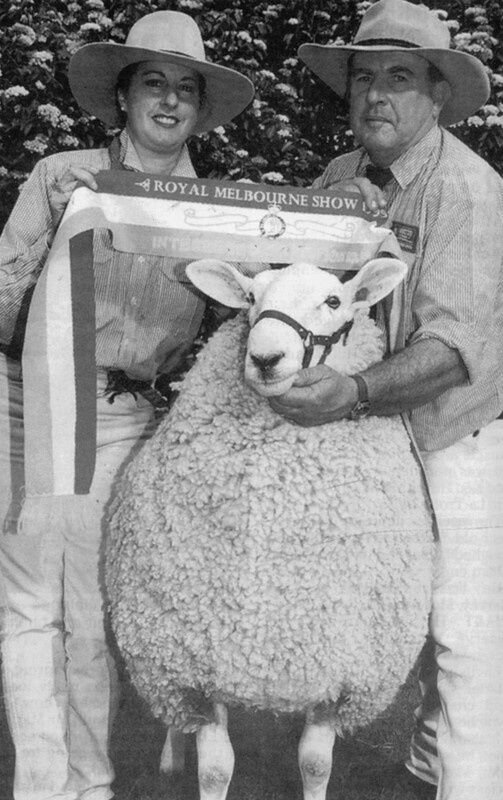 Graham at the 1990 Melbourne Royal with Retallack stud’s champion ram. 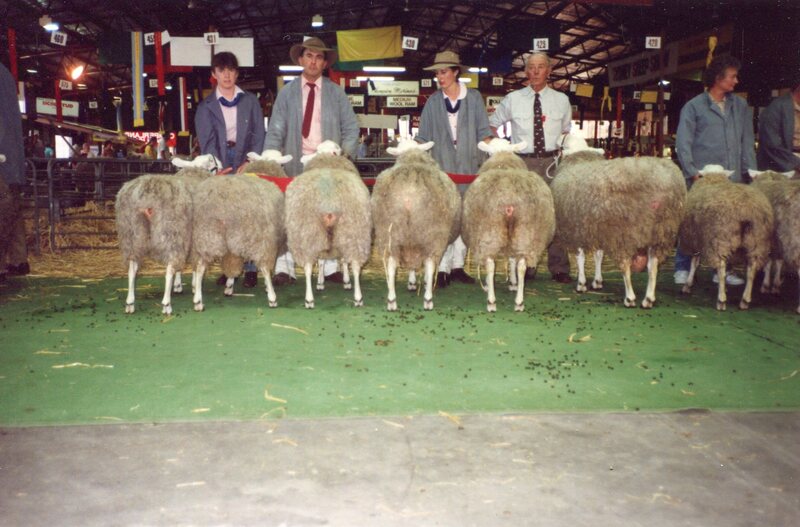 Melbourne Royal 1991, Border Leicester feature breed. 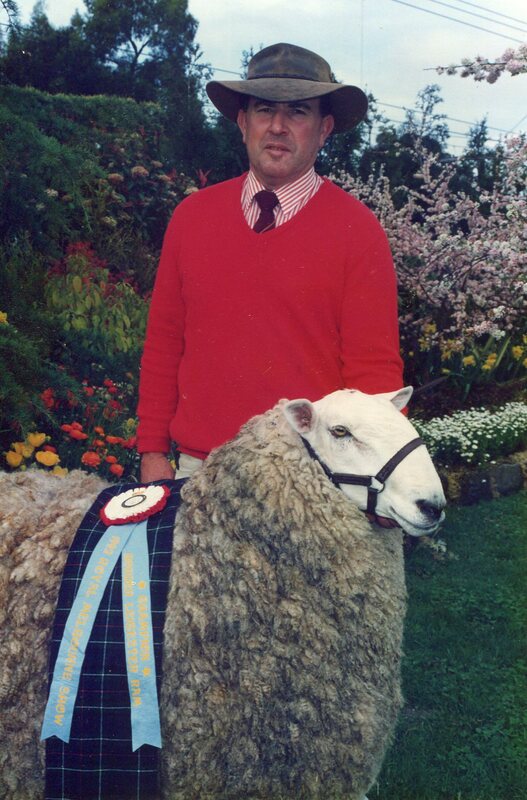 GrahamDay sashing Junior Champion Ewe to Retallack. 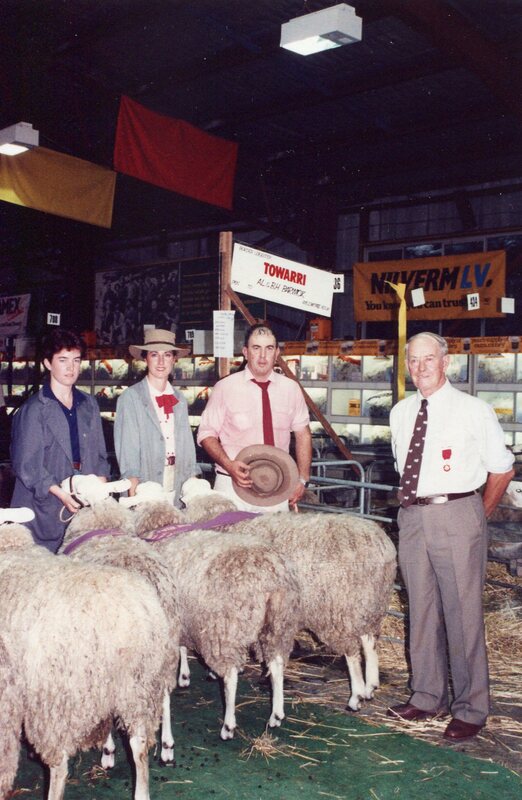 Graham at the 1991 Sydney Royal with Retallack stud’s grand champion ewe and judge John Micheel, Campaspe stud, Elmore, Victoria. 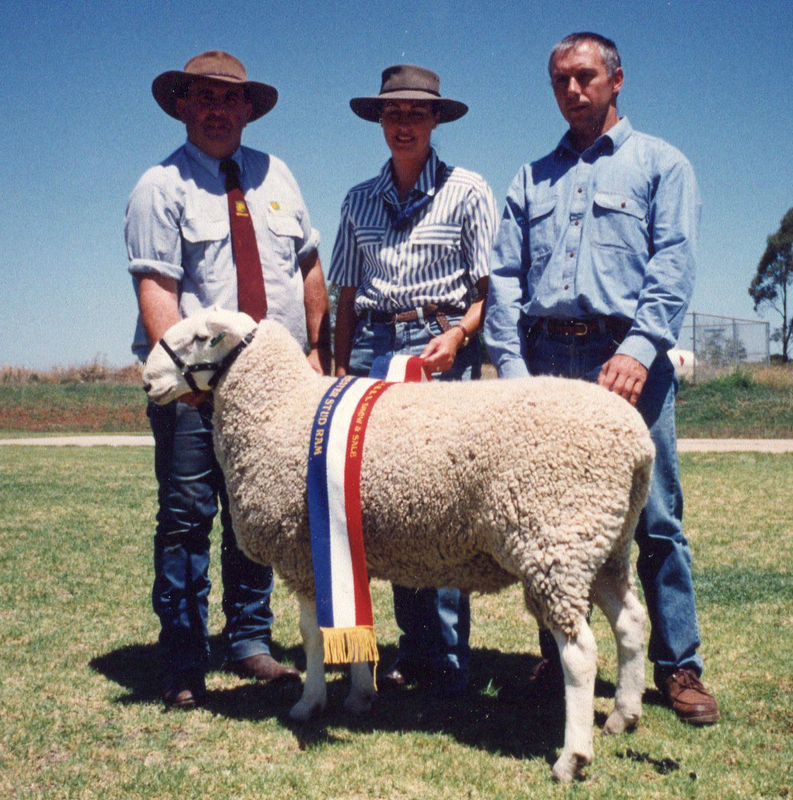 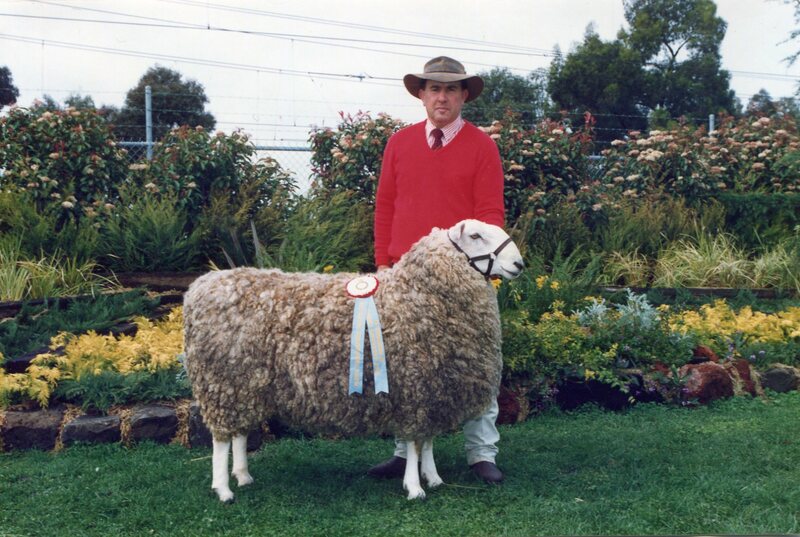 1992 Melbourne Royal champion Border Leicester ram. 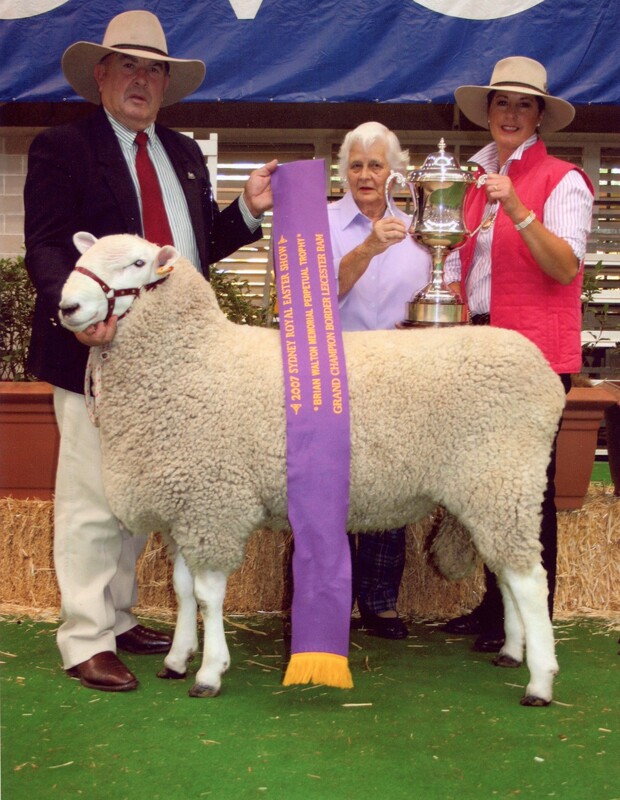 Influential stud sire Retallack Plugger 346.97. 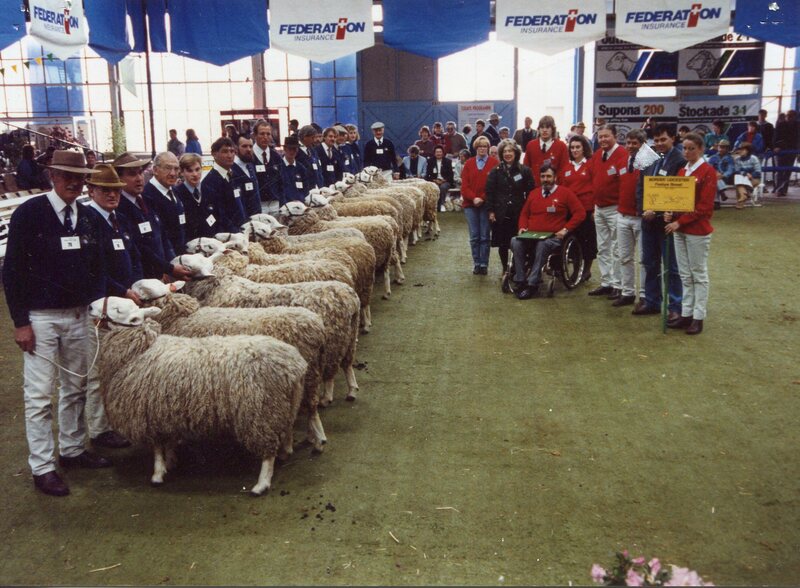 Supreme Interbreed at the 1999 Canberra, Sydney and Melbourne Royal Shows. 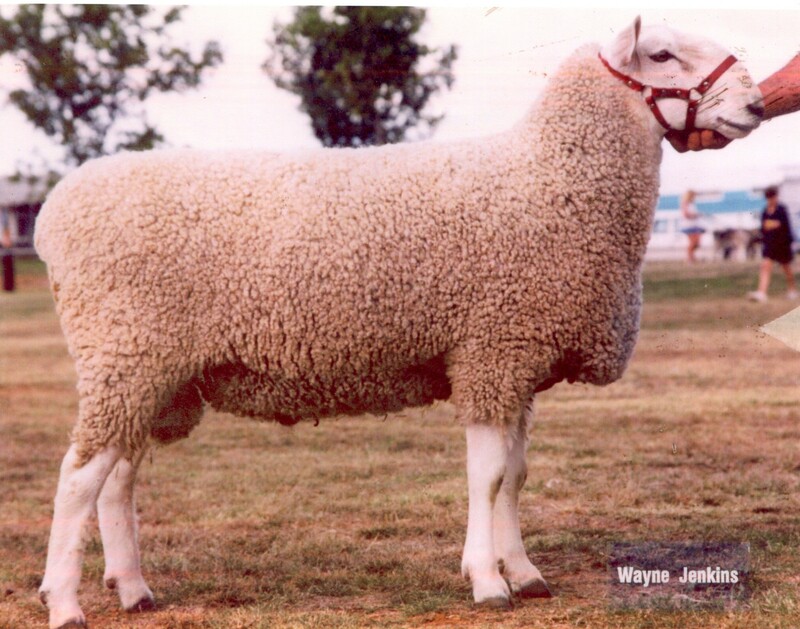 One of the most successful rams ever bred at Retallack stud. 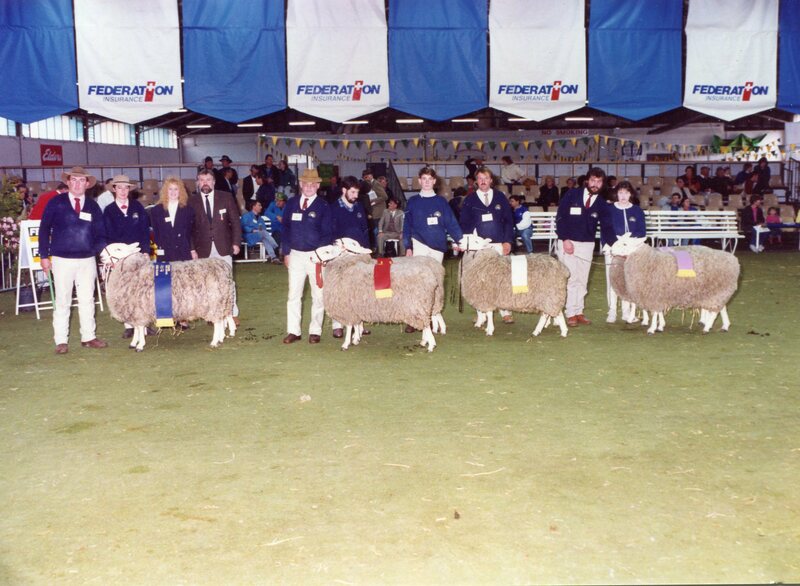 Sydney Royal 2004 champion and reserve rams. 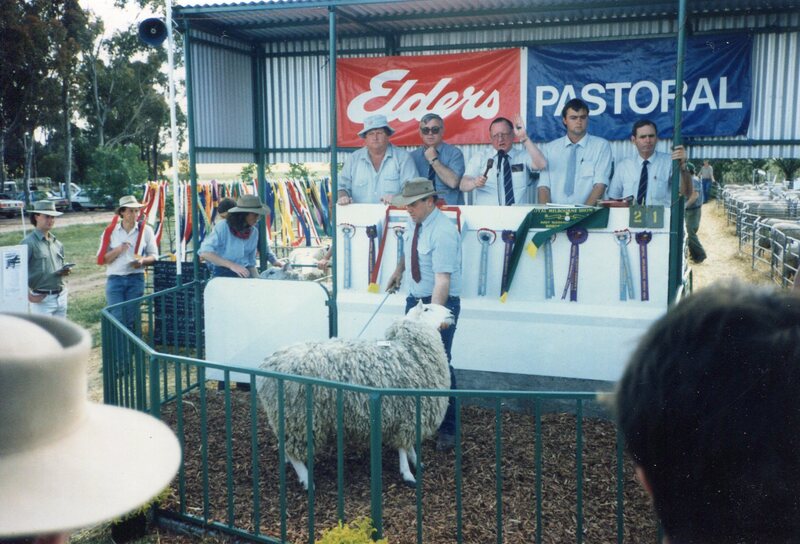 Graham had the pleasure of opening the Sydney Royal Sheep Show in 2007. 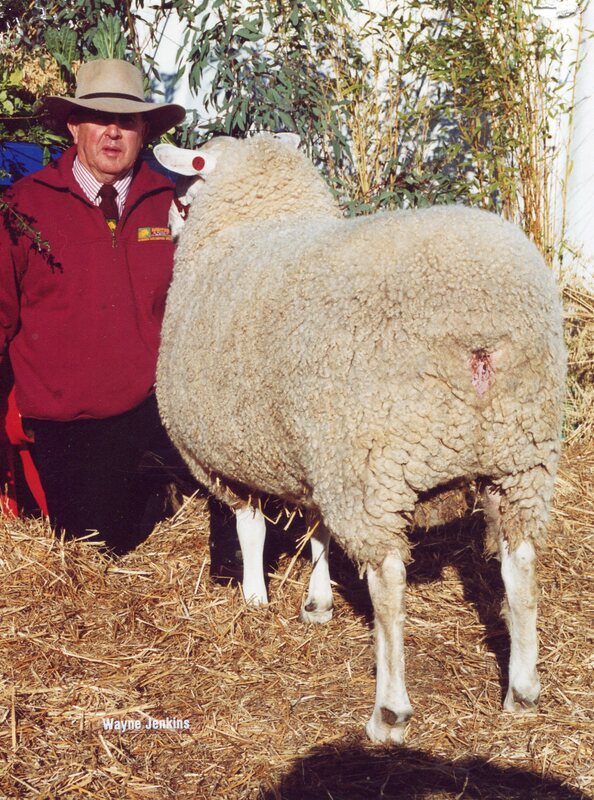 Retallack stud also won champion Border Leicester ram.